P.S. Dannies, Protein Folding and Hormone Deficiencies. A.D. Albert and P.L. Yeagle, Structural Aspects of the G Protein Receptor, Rhodopsin. 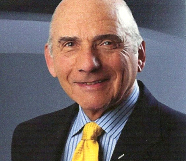 G.D. Szklarz, S.E. Graham, and M.D. Paulsen, Molecular Modeling of Mammalian Cytochromes P450. Y. Urade and O. Hayaishi, Prostaglandin D Synthase--Structure and Function. W.L. Duax, D. Ghosh, and V. Pletnev, Steroid Dehydrogenase Structures, Mechanism of Action and Disease. S.P. Craig, III, and A.E. Eakin, Structure-Based Inhibitor Design. M. Vendruscolo and E. Domany, Protein Folding Using Contact Maps. S. Gulnik, J.W. Erickson and D. Xie, HIV Protease: Enzyme Function and Drug Resistance. K. Kimura, H. Sasano, T. Shimoseawa, S. Mochizuki, H. Nagura, and T. Toyota, Ultrastructure of Cells Undergoing Apoptosis. R. Atencia, A. Asumendi, and M. Garcia-Sanz, The Role of Cytoskeleton in Apoptosis. J.M. Gaziano, Dietary Antioxidants and Cardiovascular Disease. G.L. Nelsestuen, A.M. Shah, and S.B. Harvey, Vitamin K-Dependent Proteins. J.D. Chen, Steriod/Nuclear Receptor Coactivators. A.P. Wolffe, T.N. Collingwood, Q. Li, J. Yee, F. Urnov, and Y. Shi, Thyroid Hormone Receptor, v-erba, and Chromatin. Under the capable and qualified editorial leadership of Dr. Gerald Litwack, Vitamins and Hormones continues to publish cutting-edge reviews of interest to endocrinologists, biochemists, nutritionists, pharmacologists, cell biologists, and molecular biologists. 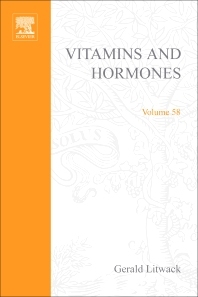 First published in 1943, Vitamins and Hormones is the longest-running serial published by Academic Press. In the early days of the Serial, the subjects of vitamins and hormones were quite distinct. Now, new discoveries have proved that several of the vitamins function as hormones and many of the substances inferred by the title of the serial function in signal transduction processes. Accordingly, the Editor-in-Chief has expanded the scope of the serial to reflect this newer understanding of function-structure relationships in cellular communication. The Editorial Board now reflects expertise in the field of hormone action, vitamin action, X-ray crystal structure, physiology, and enzyme mechanisms. Researchers, faculty, and graduate students interested in cutting edge reviews concerning the molecular and cellular biology of vitamins, hormones and related factors and co-factors; libraries and laboratories at institutions with strong programs in cell biology, biochemistry, molecular biology, gene regulation, hormone control, and signal transduction.